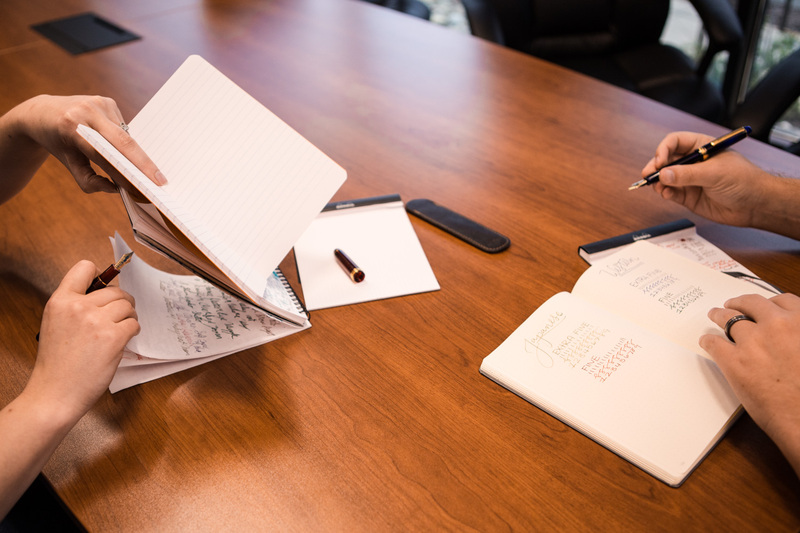 Fountain pens add a certain level of class and elegance to any situation. 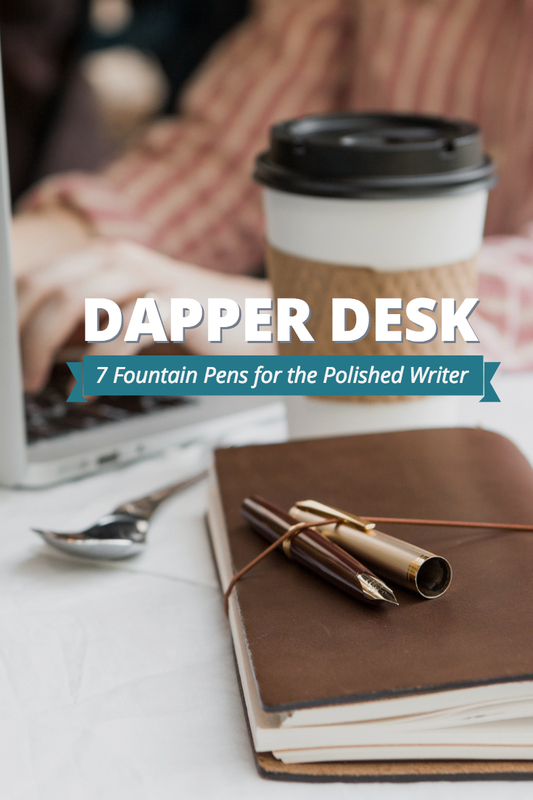 They can elevate any outfit they are paired with and add a hint of distinct excitement to the most mundane of writing tasks. 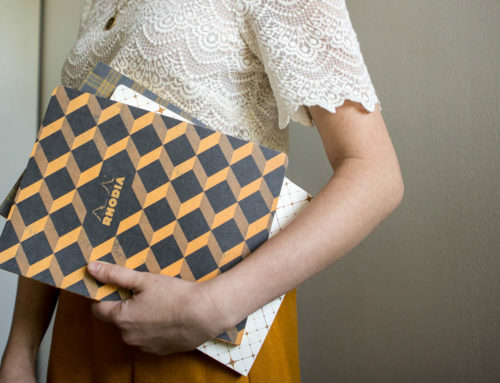 They can have a modern design or a look reminiscent of a bygone era. 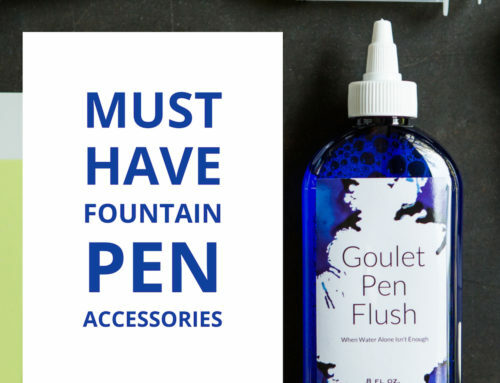 One thing is for sure though, there is never a wrong time to write with a fountain pen. 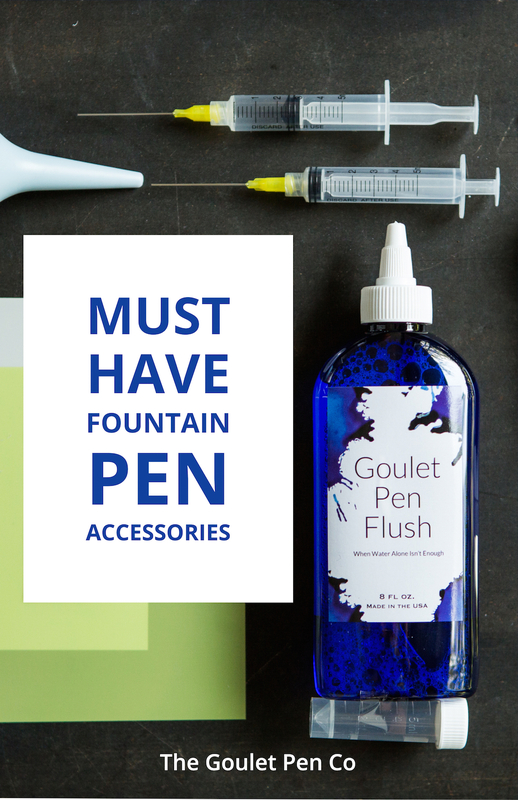 Introducing a fountain pen into your wardrobe and stationery assortment equals instant class. 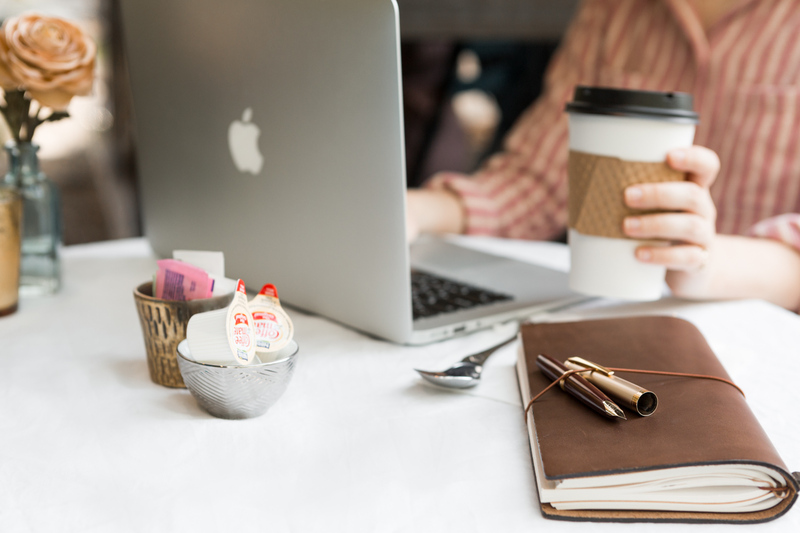 If you are looking to upgrade your desk selection and find a pen befitting of a more sophisticated style, check out these picks below. 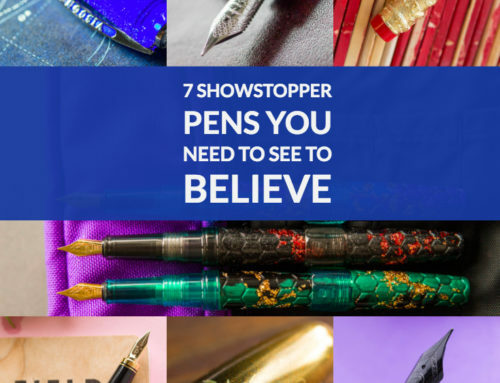 Looking for an understated pen that stands out in a crowd? Crafted in the long-standing tradition of quality that Graf von Faber-Castell prides themselves on, the Tamitio excels in both style and performance. The matte lacquered metal body features a fluted design and is accented by crisp rhodium-plated accents. 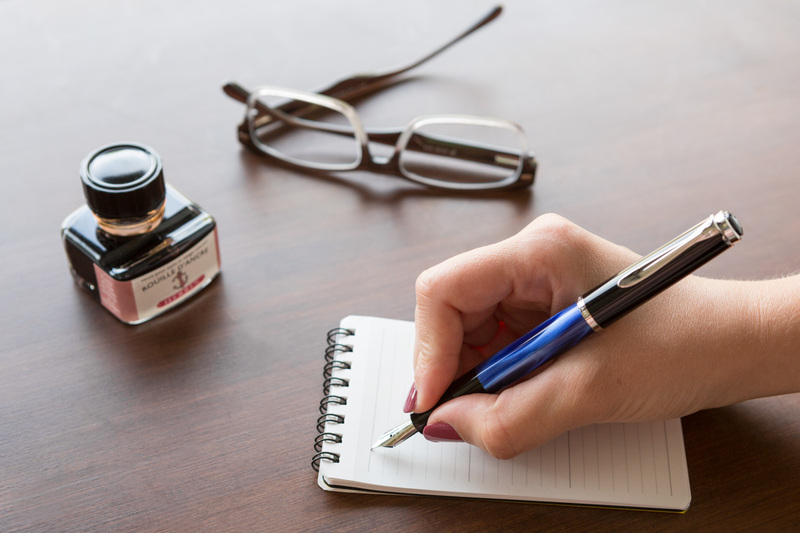 You can find this refined writing tool at GouletPens.com for $225 in your choice of Marsala (shown above), Midnight Blue, or Black. 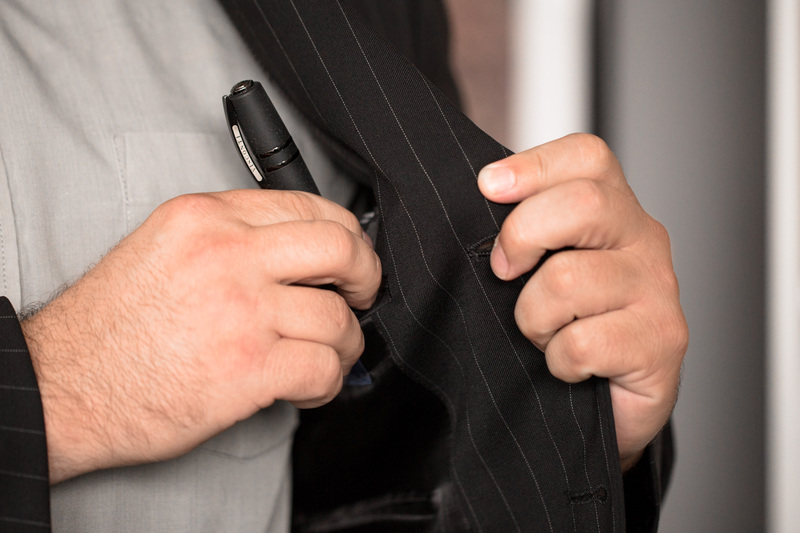 If you have a taste for smaller pens, don’t count yourself out of boardroom style. The Pelikan M205 has the distinct, professional look you seek in a smaller stature that fits your pen needs. 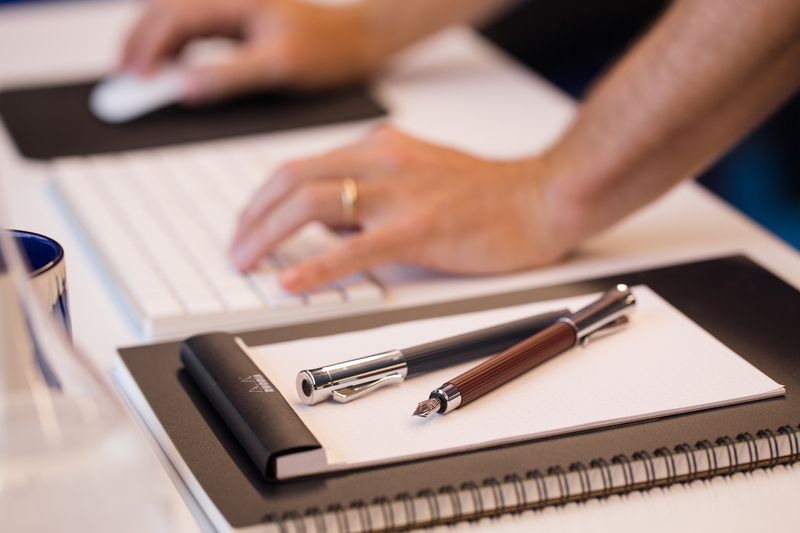 Its 9.3mm grip diameter and 14g overall weight mean easy writing all day long. Plus, the swirled resin of the M205 Blue Marbled will captivate everyone in your next meeting with its depths of color and effortless grace. 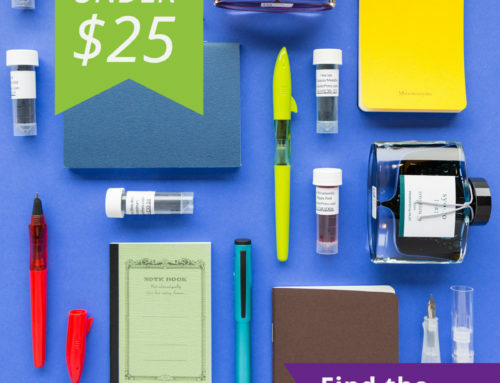 You can also check out the translucent demonstrator model released each year to match the Color of the Year ink! Find the Pelikan M205 Blue Marbled for $132. The classic styling of the Platinum #3776 Century earns its spot on this list. Mimicking the classic cigar pen shape, the #3776 looks like a vintage pen but features the convenience of a modern cartridge/converter. Whether you gravitate towards the pastel shades of the Nice Lavande or Lilas or keep it traditional with the Chartres Blue or Bourgogne options shown above, there is sure to be a #3776 for you. If a new nib size is what you seek, try the Music Nib or Ultra Extra Fine nib options in addition to the Extra Fine, Fine, and Medium. You can’t beat this 14kt gold nib for around $200. The flaked resin Edison Beaumont is distinctly different and handcrafted in the USA. The flat top design gives this pen a powerful, stoic appearance that shows you it means business. 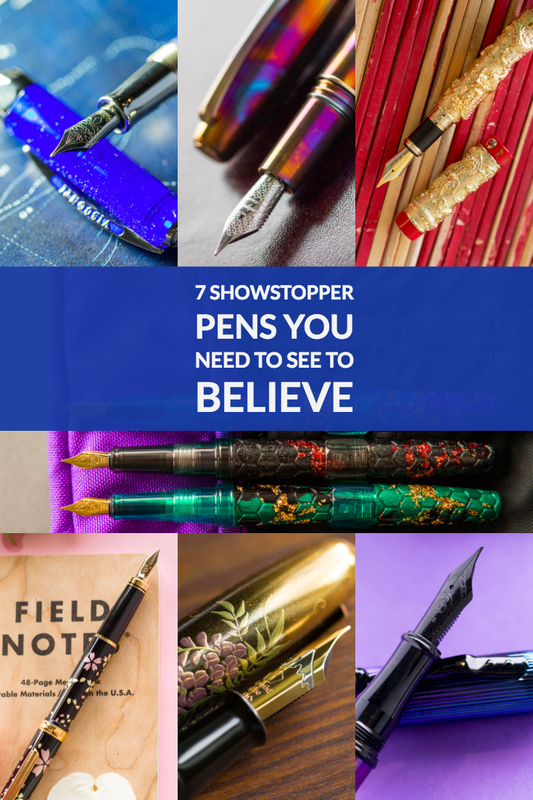 The fantastic color options add a bit of fun and excitement to the look of the pen. 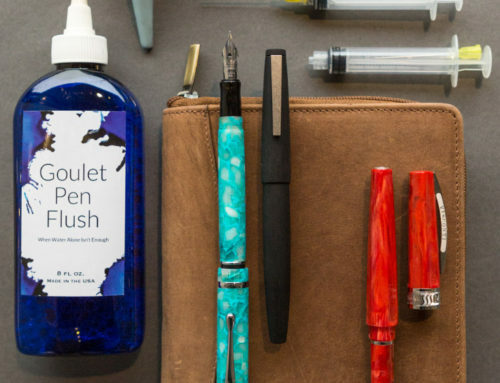 No two pens are exactly the same thanks to the natural variations in the resin, so you truly have a pen that is all your own. Imagine pulling one of these beauties out of your bag or briefcase to a room full of admiring eyes. You can pick up your Beaumont for $169. For a pen that’s portable and will enhance your elegance anywhere you go, look no further than the Pilot E95S. 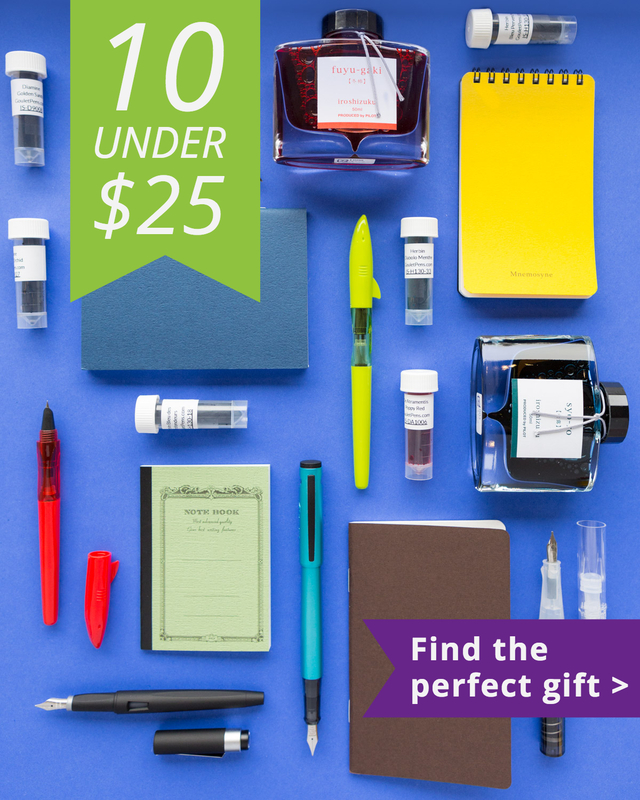 This little pocket pen is small in size but packs a sizeable style that sets it apart. 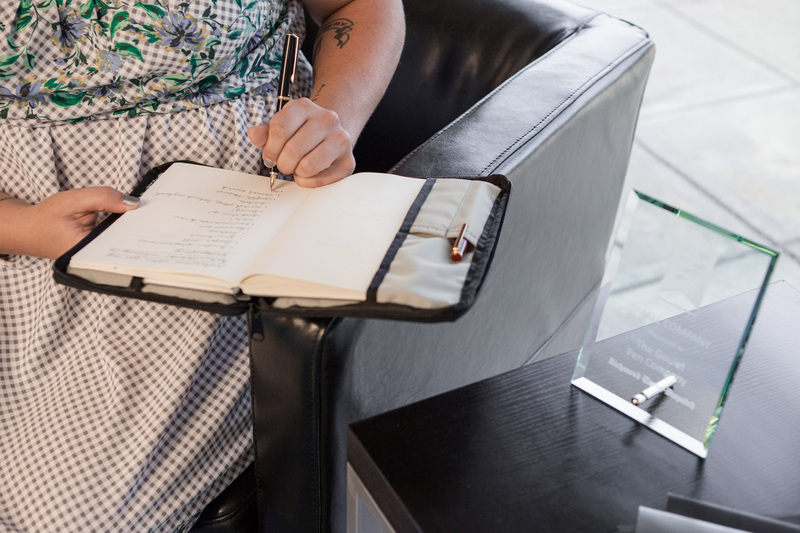 Cap it and go to your next writing session at a cute coffee shop or jot down appointments in your planner to keep your busy schedule under control and organized. 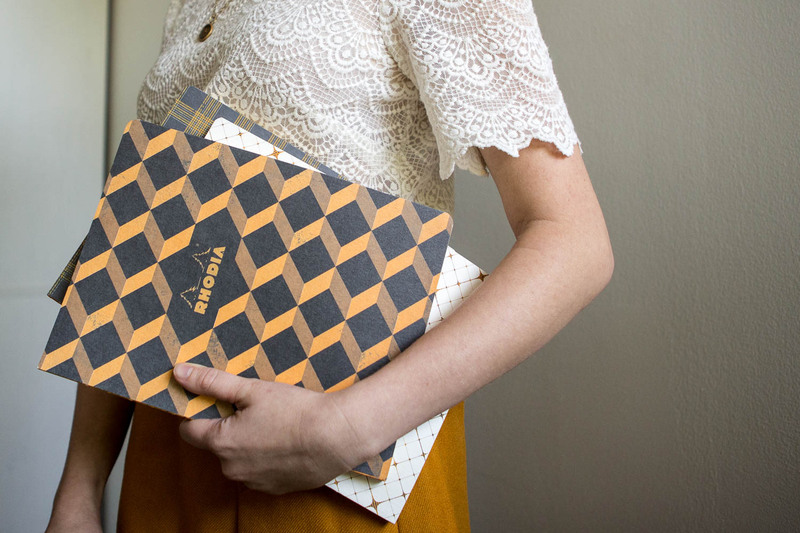 Choose from all Black with gold trim or the Ivory and Burgundy option for $136. Great writing and vintage style on a budget. The Platinum PTL-5000A is the most affordable gold nib pen we sell at Goulet Pens. This pen is the perfect size for all different writers. 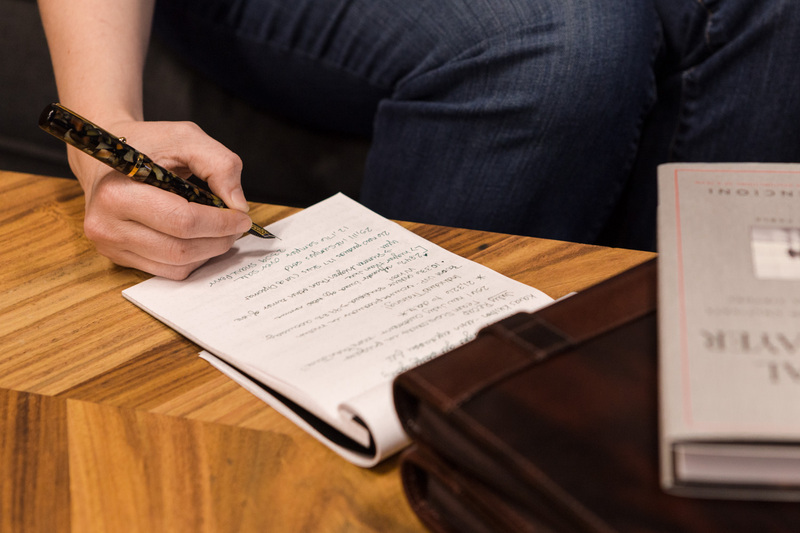 The lightweight, slim body would work for smaller hands but the posted length is enough that even larger hands could still find this pen comfortable. If you ever wanted to own a 14kt gold nib pen, you can get this beauty in Red or Black for just $64. You won’t find a hotter pen anywhere. The Visconti Homo Sapiens is handmade from hardened basaltic lava sourced from the Mount Etna volcano in Italy. This is the ultimate statement pen. The distinct clip, modeled after the Ponte Vecchio bridge, looks great in a pocket and the Hook Safe Lock mechanism ensures it won’t come uncapped in travel. You can also add your own personal touch with the MyPen system that allows you to replace the Visconti coin finial with your choice of natural stone. Complete with a 23kt Palladium DreamTouch nib, the Visconti Homo Sapiens is a must have for the stylish and sophisticated fountain pen user. 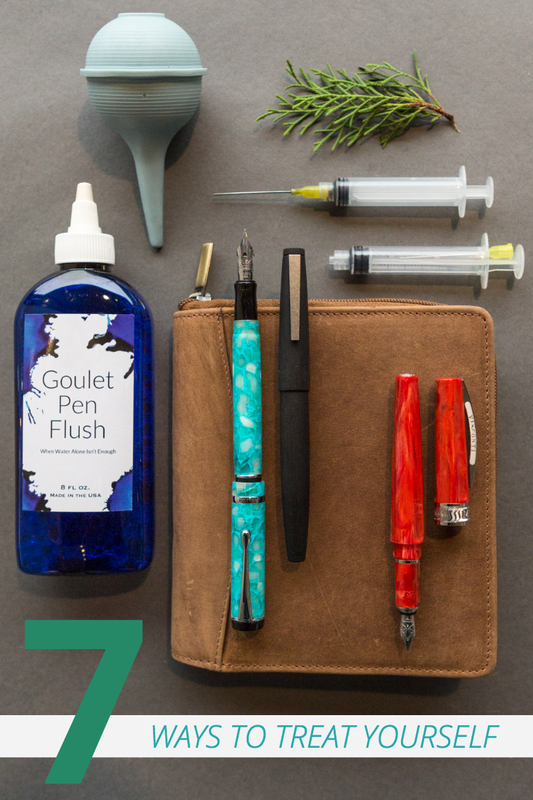 Log in to your Goulet Pens account to see our best available price. 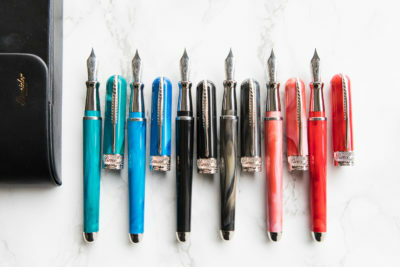 Which pen in your collection is your go-to when you’re feeling fancy?